Twice daily we take our guests on a game drive in open safari vehicles offering unobstructed views in all directions. The first game drive leaves soon after sunrise with a stop for coffee and tea in the bush. The second game drive departs in the late afternoon with a stop for sun-downers where guests can watch the sun set over the African horizon. After the sun sets, we continue with a drive back to the lodge aided by a spotlight for night sightings. We are blessed with a diverse array of animal species and will lead you on a fascinating tour through the African bush. Just as the animals roam free, we too take our vehicles off-­road for special sightings, providing guests with a unique safari experience and allowing them to get tantalizingly close to Africa’s wildlife. Bring your cameras and you will leave Senalala with once-in-a-lifetime photos to supplement unforgettable memories. Should you prefer a guided walking safari instead of a game drive, our professional and highly experienced guides will gladly accommodate this request.Appropriate for guests aged 16 and older, a walking safari offers guests the opportunity not only to track big game on foot (including the Big 5), but also to experience the more subtle and captivating aspects of bush ecology, including smaller wildlife, animal tracks and indigenous vegetation. Often the highlight of our guests trip, we encourage you to participate in a walking safari at least once before you leave Senalala. Click the button below to see pictures from our walking safaris. Without water there is no life, and its vitality is constantly observed from the deck, lawns, and chalets at Senalala. It is our “center of the planet” and at any time, any one (or many) of the animals in the area may visit the private area on the game path that follows the nTsiri river. We have incredible sightings that include the Big Five (lions, leopards, rhinos, elephants and buffalo), giraffe, zebra, many types of antelope, the fortunate visits from wild dog packs and once in a while a hippo which takes up temporary residence! Our “center of the planet” is not large but is huge in that it is a magnet for game sightings and we would love to share it with you, with a refreshing drink of your own, on our comfy couches below the thatch covered deck. Traditional dining is an essential element to our guests’ stay and at Senalala we are delighted to offer a fully catered experience. 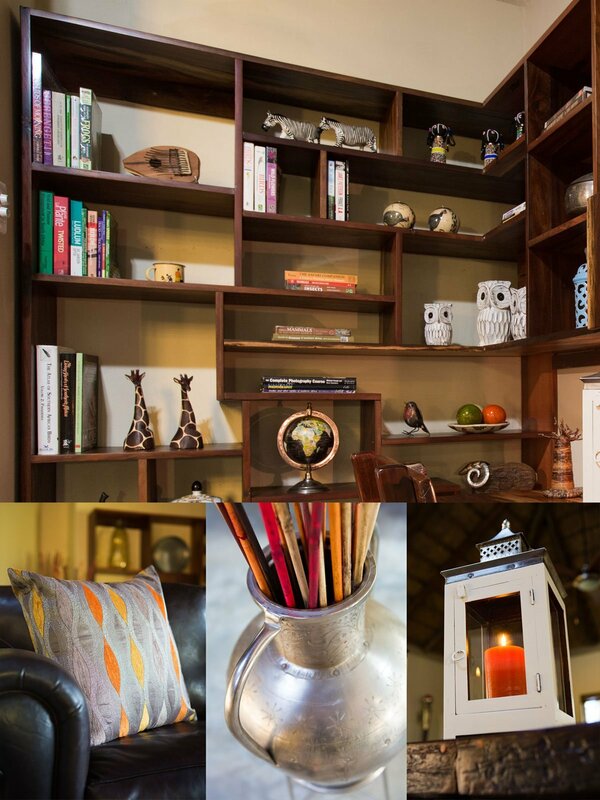 Guests are treated to breakfast, lunch and dinner as well as morning and afternoon refreshments on their game drives. A diverse selection of South African wines, several choices of beer and selected spirits (domestic and imported) are also available. Made with care from the freshest ingredients and served to guests as they take in the natural setting around them, meals at Senalala are a treasured tradition and a time for guests to break bread together and share stories of the day’s events.We can cater the following dietary requirements provided we are made aware of them prior to arrival: Vegetarian and Gluten intolerant. We are unable to cater for any other specialty diets. Regretfully, we do not provide Halaal or Kosher meals. At Senalala we are committed to ensuring our guests’ stay is a pleasurable one. Below are the amenities we offer on an all­-inclusive basis. Senalala is one of the few camps in the Klaserie Private Nature Reserve to have installed its own gym facilities. 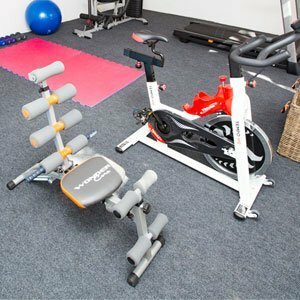 Outfitted with cardio and other fitness equipment, Senalala’s gym offers guests the opportunity to keep up with their exercise routines while staying in camp….. no excuses! One of many amenities provided within the camp, the outdoor pool at Senalala offers a tranquil setting for guests to relax and revitalize after the morning game drive or during the afternoon. A perfect way to cool off when the temperature rises. At Senalala, we recognize that many of our guests need to stay connected to the outside world. We have enabled our WiFi facilities to provide guests with the fastest, most consistent internet connection available in the Klaserie. Our digital library consists of a collection of classics as well as our own selection of books for guests to enjoy during their vacation. A great way to unwind after the day’s adventures with a beverage in hand, we trust you will enjoy the titles we have gathered for our digital library and welcome recommendations to add. For guests that need that occasional piece of clothing cleaned during their stay with us, we offer limited daily laundry services . Due to our limited water supply and disposal systems, we cannot do extensive laundry at the camp and we ask our guests to consider the conservation impact of this request. For further details about flight scheduling or for driving directions, please contact us directly at : [email protected]. We will be happy to assist in planning your travel itinerary.